Booze time, ya’ll! 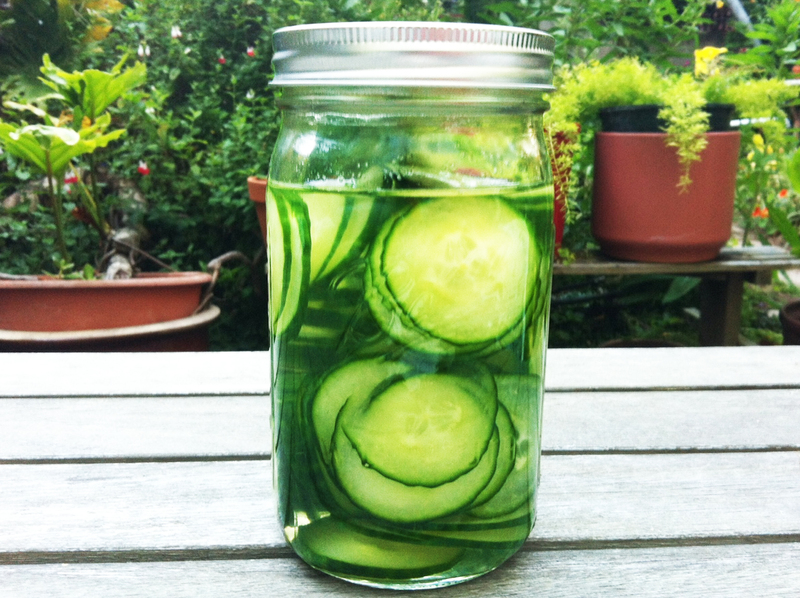 Here’s a sweet and easy recipe for some refreshingly rad cucumber-infused GIN. Mason jar, or another storage vessel. My jar holds one quart. GIN! I used Seagram’s Extra Dry. Something to strain it with. 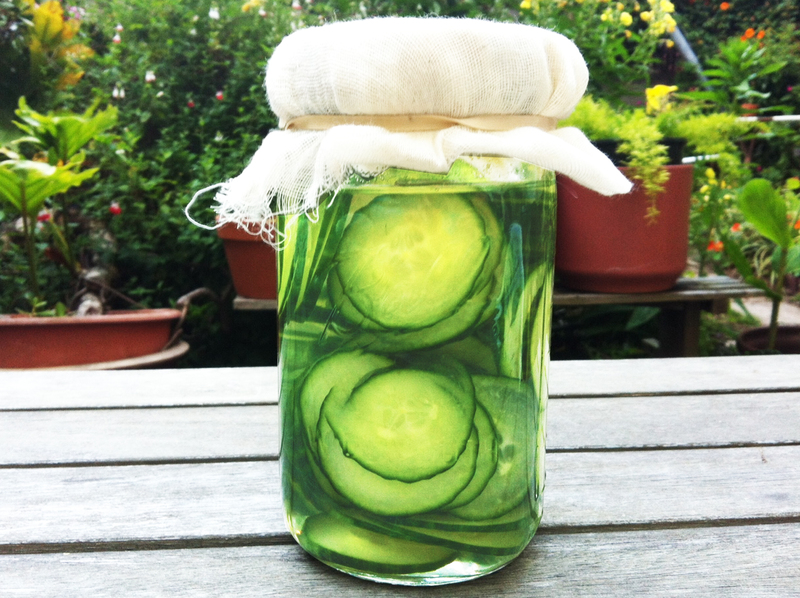 Thinly slice half about half a cucumber, and plop the slices into your clean jar. 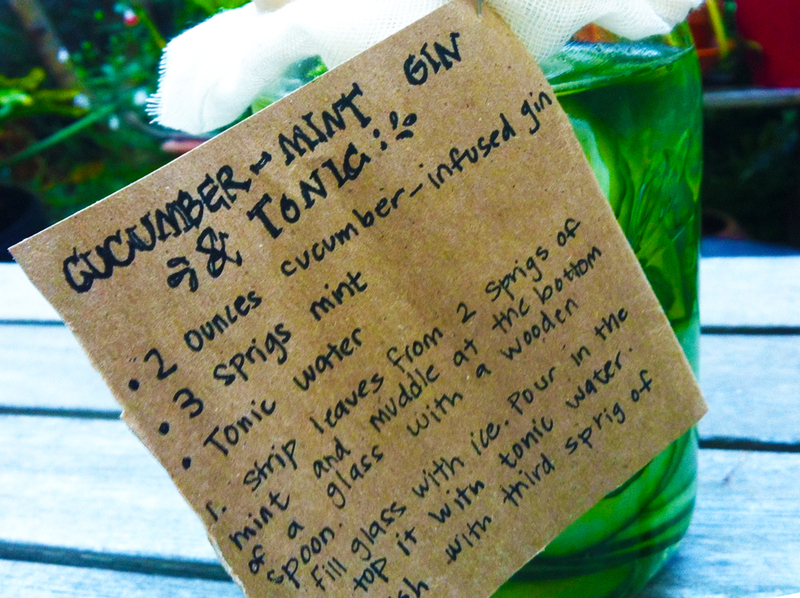 Add your gin, filling the jar until there’s only about an inch of air left . Shake it up, seal it up, and let it sit for at least 3 – 4 days. 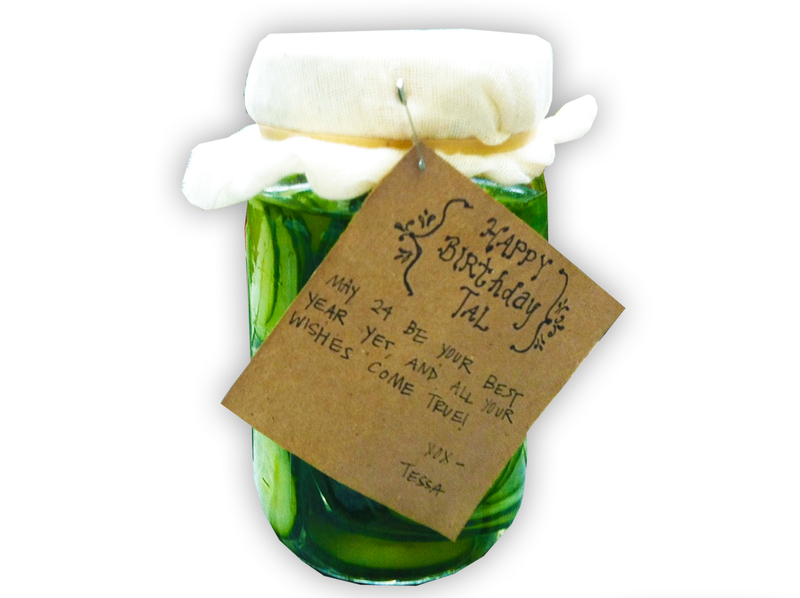 I made this simple and elegant cuke-infused gin as a gift for my friend’s birthday. As a finishing touch, I wrote a birthday note on a paper square cut out from a brown bag, and fastened it to the cheesecloth with a safety pin. How rustic! On the back of the note, I included a cocktail recipe that features this homemade concoction to give my gal pal somethin’ to work with when she’s ready to hit the bottle. My bday is May10 th! This will be my xmas gift this year. I love it. This is awesome! Definitely making this soon! Thank goodness for Huffington Post or I never would have found you!